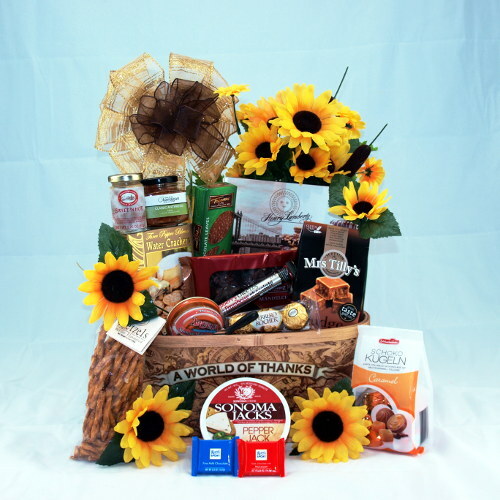 An amazing basket of goodies that are sure to be enjoyed by the recipient. Filled with both sweet and savory items. You may also choose wine, beer, flowers, or spirits at the check-out to enhance this basket to make this even more special.